The A-to-Z Challenge offered an opportunity to show me just how engaged I could become with a game or setting. In the past, I have become involved with other games and I have created material – like a Neanderthal-Zombie adventure for Outlive Outdead, the Beggar’s Companion for Maelstrom or The Underplex for PARANOIA. Each project involved pretty focused output, a target to achieve – generally through a whole lot of research. This time, I have had to expand those horizons somewhat. Over the last month, I have created 26 entries on how to run the game, elements of the setting, stats for creatures or home-brew mechanics. In the period since I started The Iron Pact, my posts have produced 57,000 words of material – which amounts to more than any single one of the projects above (for the The Underplex, a supplement on troubleshooting under Alpha Complex, I wrote around 40,000 words). How do get involved with a setting in such a short space of time? How can YOU get that engaged? Enthusiasm. Zeal. You should get yourself inside the game world and take the time to consider it in more detail. The team in Sweden will produce more material in time and that material will undergo translation to one of several languages – but in the meantime, you shouldn’t let that be a barrier to entering Davokar. I recommend reading as much of the available material as possible. I have read the core book three times cover to cover, and whenever I want to write about something I go back and read that section. You should, if nothing else, take the time to flick through a section now and again, especially the first 70-pages of material on the settings. While, critically, the core book doesn’t contain enough setting material, nor do you have the depth to mine the material forever, the Järnringen team have provided a taster menu of potential. More so if you take the time to read the adventures and the campaign overview, The Throne of Thorns. In my enthusiasm, I have started reading some of the Swedish material, like the Player’s Manual and the Rapport overview of the wider world, but you don’t need to do that. Within the material currently available in English, you will find plenty of opportunities for gaming and a myriad of potential hooks and seeds for adventure. I strongly suggest you keep a pad handy or a tablet device, as well as some old school bookmarks, sticky notes or book darts. As you read, makes notes – brief words and page references of anything that takes your interest. You might note the name of a noble family, a referenced treasure-seeker, a Symbarian rune or a notable drinking house in Thistle Hold – any of these things could be worthy of kickstarting an adventure. If you leave these things to memory alone you’ll forget – so, write something down. Anything. On the other hand, reading more and more material does have value in itself because that material will start to soak in. You will begin to immerse yourself in the setting and that grasp will make your improvisation in play easier to pull off. You might not immediately think poems when it comes to preparing to run a game of anything, but the Scandinavian countries have a rich history of epic tales set down in rhyme. 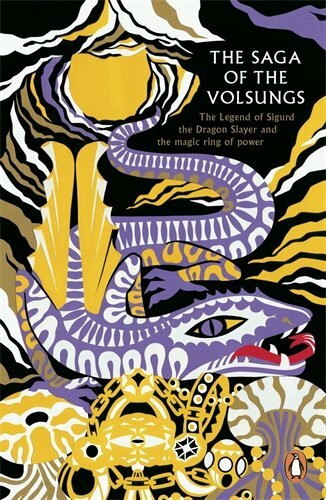 Take Beowulf, for example, or the Saga of the Volsungs. Dragons and monsters aplenty with a good scattering of betrayal, magic rings and troubled families. If you don’t fancy epic tale of ancient Northern Europe, you can opt for something closer to home, which for me means stories of King Arthur or the Welsh legends of The Mabinogion. Not easy reading sometimes, but rewarding and enlightening. Tolkien drew heavily from these legends in crafting The Hobbit and the Lord of the Rings. I skimmed through The Elder Edda when coming up with adventure ideas for a convention adventure earlier this year. Beyond poetry, you should also consider general Scandinavian myths and fairy tales, of which you wil find plenty. You should also consider general stories and legends, as well as bestiaries of monsters. Medieval chroniclers seem to have had a great time filling in the gaps when putting together books on creatures from foreign shores. For example, the Tarrasque came from religious tales, around St Martha in this case, around which later authors added their own thoughts and theories. Reading other books. Good advice in general. If you want to try a murder investigation in-game, read a murder mystery. If you plan to make the characters all soldiers during the great war against the Dark Lord, pick up a novel based around historical wars. You might not use the material in whole, but the feel of the genre has value. Knowing how an author describes a crime scene or a battlefield helps bring the sights and sounds to the table. As a quick example, I read Glen Cook’s The Black Company, a tale about a small unit of very hardy and skilled sellswords in service to nobles of strange and awful power. In the first dozen pages, I had an adventure in mind. After a hundred, I’d made notes on several possibilities – even if that might have just been a word or a phrase. I had thoughts on an adventure to rescue a kidnapped daughter, an idea for a new adversary and some notes on a possible Monstrous Trait. I also had a general idea on how I might run a campaign of adventures set 30 years before the standard setting during the early years of the war in Alberetor. As with reading the core book, take notes, set marks and take the time to re-read sections that particularly inspire. Read what seems right and go outside your comfort zone. For example, I have taken to reading Scandinavian crime dramas and murder mysteries, as I’m not just interested in the general subject matter for investigations, but also the tone of a book written by an author in Northern Europe. 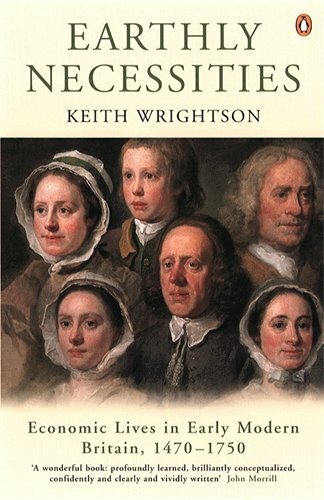 If reading novels don’t appeal, consider history books. As with novels, you won’t necessarily look toward the obvious but should read books that seem to make sense. For the war in Alberetor, I drew on my existing knowledge about trench warfare in World War I. That might seem too recent, but aside from a few advances in technology, it isn’t that far removed from facing enemies one-on-one upon the battlefield. In Year 19, Queen Korinthia decreed the founding of the guilds. I looked to my history books for how the guilds shaped and controlled crafts in the 16th century and to see the impact they had. You should look to social history on how people lived and survived – little things like how they farmed the land or built their homes. It seemed to me that 500 years ago when someone built a home they would find a patch of unoccupied land and construct something themselves. They would use local materials and their own break-breaking labour. The Ambrian people have wood and clay to hand, with more wood and also stone further afield in Davokar, the Titans and the Ravens. They have occupied the land for more than 20 years, but the earliest years would have been filled with conflict and little time for focused construction. How have miracles in Yndaros and Thistle Hold been achieved in such a short space of time and with what materials? There you have to consider the reclaiming of materials from ruins and the use of barbarians and goblins as forced labour. Given the numbers of slaves, Korinthia’s government must also force refugees to do a lot of hard labour – something that must explain the unrest and rise in free colonists. Reading around a subject will get you thinking – and starting on one subject may well lead you to others. If you don’t care to pick up a few history books yourself, consider the local library or museum. Alternatively, try Wikipedia – an adventure in itself once you start following the links. Also, try reading books on herbs and curative plants, spells and enchantments, medieval medicine, weapons and warfare, espionage and counterintelligence – anything really. Not only movies but TV serials and documentaries. Some of this viewing might be specific, like watching a programme about warfare or surviving in the wild, but you should try more general and varied viewing. While you might consider specific subjects – more general viewing for structure helps. If you want to run an investigation, watch a police procedural and adapt the structure, clues and witnesses. If you have court intrigues in mind, consider a fantasy series like A Game of Thrones or a political drama. Don’t feel the subject needs to fit at all – you should adapt the broad ideas. Take the classic action series The A-Team. I always consider that a touchstone for energetic confrontations and rescues, even though they recycled the same plots time and again. You just want to tap into the beats of when things happen, how events and situations turn around. Take all these ideas and let them slosh around inside your head. When you read or watch something, take a moment to consider how it might relate to your game. If you make notes, go back over them later and see whether anything stands out. My thinking about stone came from this – simply because reading through the core book and looking at the fantastic images made me realise how many stone buildings the Ambrian people had in their town and cities. Stone is heavy and takes a lot of work to prepare, so how could they have built so many stone buildings in such a short space of time. A quick check of historical sources finds that a stone building of even one room could take 6 months to a year to construct. A manor house needs more than a year or two and dozens of craftsmen and labourers. How did they get the Queen’s palace or the Cathedral? Once you start thinking outside the box and around the subject, you find adventure. Treasure in Ambria doesn’t necessarily glitter – the country needs building materials and those come from ruins, and ruins need to be made safe. You can explore the wilderness seeking out new ruins or dig deep under Yndaros to clear the tunnels. Settlements near the mountains will have an easier time accessing and quarrying stone than Yndaros, which lies 100 or more miles from any easily accessed supplies. The easiest option of all – play Symbaroum or any other game for that matter. When you play Dark Souls III, consider how you could use the exploration and boss fights in your game. If you play in a game of Dungeons & Dragons and the GM does something interesting, take note and see if you can adapt it for your game. Next time you play Magic: The Gathering with a friend you might find a spell or monster that seems perfect for your Symbaroum game. As I touched upon in the last article, listen to your players when you run your game. If they make a connection, create a contact or discuss rumours – take notes. Use the ideas they come up with, no matter how wrong or off-the-wall they might be. When the players come up with a theory, tie it into events later on. If the characters let an adversary escape, ensure you keep a note to have them return for their revenge – or plot with others to bring about the player group’s downfall. Ultimately, enjoy the game. Use all the media and sights around you to expand your experience (including coming back to The Iron Pact) and enjoy the official material when it arrives! 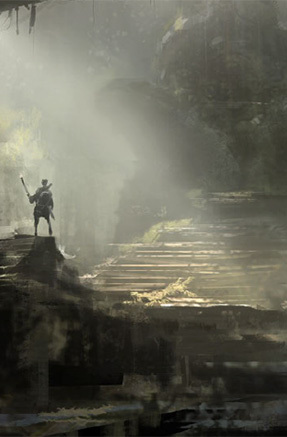 Symbaroum has got me excited – and I hope that I can rub off some of that enthusiasm through my posts. 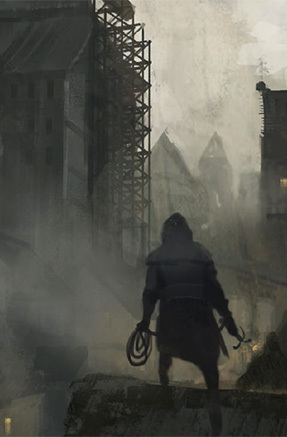 If you have any ideas, read something that fits Symbaroum perfectly or just want to get involved, post a comment here or on any other part of the site. I’d love to hear what you come up with – and hope you have enjoyed the last month of the A-to-Z Challenge as much as me.